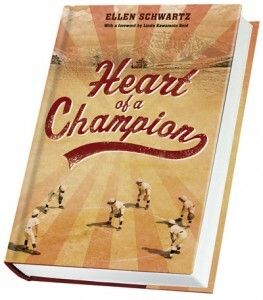 Heart of a Champion, a new book for young people by Ellen Schwartz is set against the backdrop of the internment of Japanese Canadians during World War Two. The coming-of-age story features ten-year-old Kenny who dreams to play one day for the fabled Asahi baseball team, just like his older brother Mickey. Following Japan’s attack on Pearl Harbor in 1941, however, everything changes – the community is forced to leave the west coast, the majority sent to internment camps in the interior of BC, and the mighty Asahi are disbanded, with players scattered, never to regroup. Against this backdrop, Schwartz weaves a tale of courage and the transformative power of dreams. 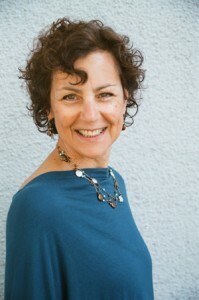 The Bulletin spoke to Ellen Schwartz about her latest book, which will be launched at the Nikkei Centre on March 13. This is your second book about baseball – but this time you’re delving into the Japanese Canadian community at the time of the internment. It interesting that the first book, Stealing Home, also deals with racial issues through sports, but it takes place in New York in the late forties. What is it about baseball that draws you to it as way to examine bigger societal issues? It’s a good question, and there are a few answers. One is that I’ve always loved sports. I don’t play them, never have, but I’ve always admired the grace and strength that athletes have. I wrote Stealing Home because I had read Don DeLillo’s Underworld, which described a famous baseball game played in 1941 between the Brooklyn Dodgers and the New York Giants. 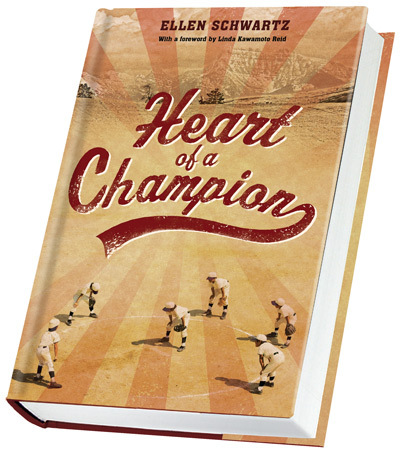 The scene was so well drawn that I thought: I want to write a book for kids about baseball. So I thought: What do I know about baseball?, and remembered Jackie Robinson. My mother had been born in Brooklyn and my grandparents rooted for the Brooklyn Dodgers (who were seen as the perennial underdogs, just like the Jewish immigrants who made up my family), so it was a natural fit. Why the Asahi and the internment? What drew you to this particular story? It all started about six years ago, when I saw Sleeping Tigers, a documentary about the Vancouver Asahi baseball team, on CBC. I had been living in Canada for nearly 35 years at that point (I grew up in the US) and had never heard of the Asahis. I was amazed at their story. I thought: Every Canadian kid should know this story. So, since I write books for kids, I decided to write one about the Asahis. I imagine you had to do a lot of research to bring this story to life – did you know much about the history to begin with? I knew nothing. I did a TON of research. I interviewed dozens of people, internment camp survivors, their descendants and others who knew the history, both in Greater Vancouver, where my novel begins, and in New Denver, where my fictional family ends up. I read many books, combed websites, assembled maps and did all I could to get a feel for what life was like in Vancouver before the internment and then what life was like in the camps. One of my greatest joys was being able to interview Kaye Kaminishi, the last surviving member of the Asahi baseball club. He was incredibly generous and supportive. Was there anything you learned in your research that surprised you? Two things. One was how awful things were in the internment camps, especially at the beginning. I didn’t fully realize this until I stepped inside the shack at the Nikkei Internment Memorial Centre in New Denver. That tiny, primitive space! As I stood there, I could feel the shock that the families must have felt – not to the extent they did, of course, but a strong dose. At that moment, the second half of the book came to me. The other surprise was how accepting many of the Japanese Canadian people I met were about the internment camp experience. Some were even positive. People have not forgotten their mistreatment, but at the same time they don’t seem to let it define them. You’ve become involved in the Tashme website project and have put in many hours helping to shape the vast quantity of information and data that has been collected – how did you get involved? And what are your thoughts on the project? I originally came to a meeting of the Tashme survivors as a way to meet people, to do research for my book. When the Tashme historical project was launched, I decided to join the committee, and I’ve stayed involved. I feel it’s urgently important to record this history before the elders pass on, and I can contribute some skills in a small way. I suppose that, being Jewish, I am grateful for all the scholarship that has been done on the Holocaust, and I feel that the Japanese Canadian internment deserves to be remembered in the same way. You specialize in books for young people – is there a particular reason for this? I don’t know why, but from the time I started writing, 35 years ago, I knew that I wanted to write for children. I think it’s because books were so important to me when I was young. Kids can find themselves in stories, and that’s the kind of experience I want to give them in my books. I want to make my readers laugh and cry along with my characters. Actually three projects. Another novel for kids, called The Princess Dolls, is coming out in 2017 with Tradewind Books. It also touches on the internment, but only indirectly—the story is told from the point of view of the Caucasian character, Esther, whose best friend, Michiko, is sent away to Kaslo. As well, I have written the first draft of a novel called Up in the Sky, a contemporary story about a girl whose father has been killed in a helicopter crash. And, finally, I am writing a non-fiction book for adults about my experiences as a back-to-the-land hippie in the Kootenays in the 1970s. Lots going on!